The 2020 Census will take place April 1, 2020. 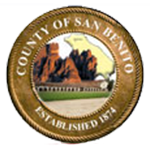 There is a lot to plan for, and the count is critical to San Benito County. Follow all the news and information on our new 2020 Census page.